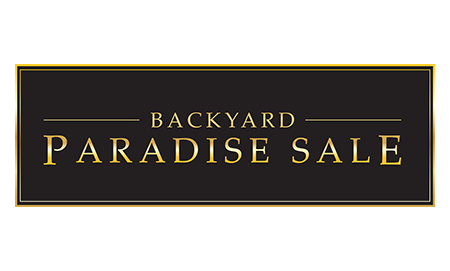 Outdoor Kitchen Islands have become the hottest trends for backyard entertaining. 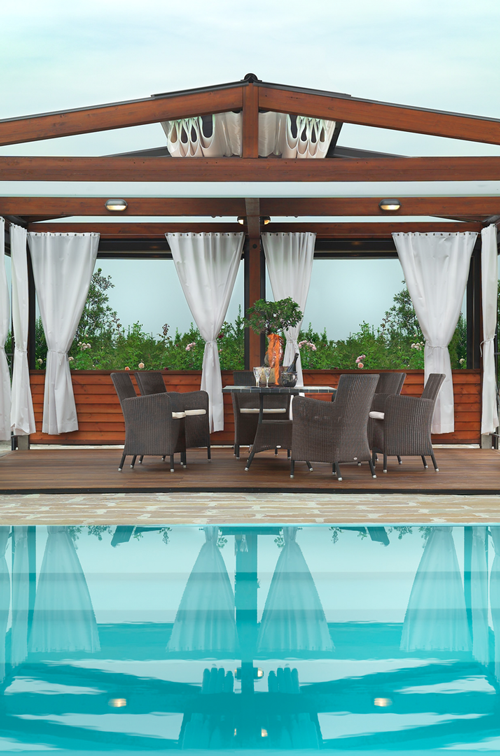 From simple cooking designs to fully equipped configurations, Coast Spas Lifestyles can ensure that the total design and function is consistent with all your needs. The Gourmet Q Outdoor Island Kitchen is the largest of our islands. Its spacious bar area is perfect for a luxurious outdoor dining experience and ideal for entertaining. With its ample space for seating you can serve up your favourite grilling recipes in style. 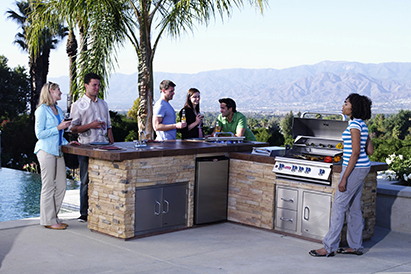 The Jr Gourmet Q - Outdoor Island Kitchen and its ample bar area can seat up to 4 people comfortably. Its smaller "L" shaped design allows for great outdoor entertainment or just simply creating your favourite recipes in a wonderful outdoor setting. 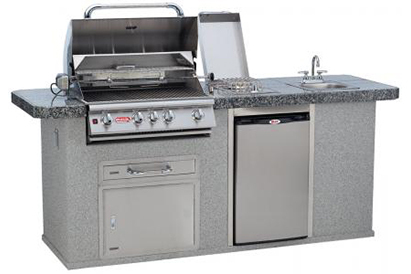 The Master Q - Outdoor Island Kitchen is an ideal grilling station for a smaller backyard or patio space that provides adequate counter space to create your favourite grilling recipes. 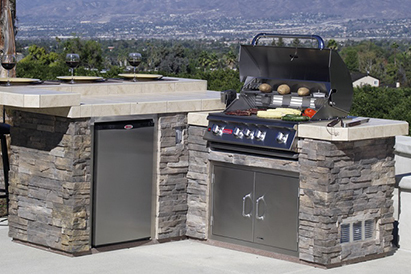 This Outdoor Kitchen island is the most complete outdoor barbecue kitchen. This design provides a backyard entertainment center and the space to handle all of your outdoor grilling needs. 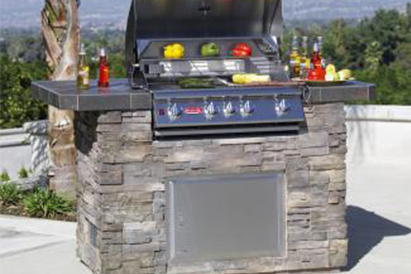 This is the ultimate grilling & entertaining station. 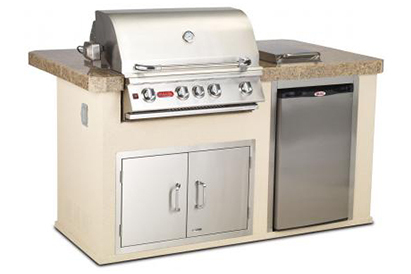 The Patio Q Outdoor Island Kitchen is perfect for a smaller yard or patio space. 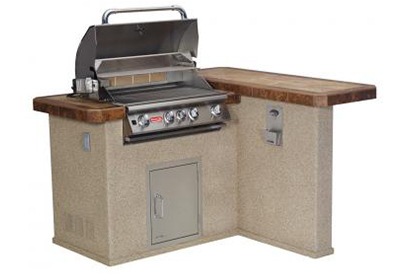 The Power BBQ - Outdoor Island Kitchen utilizes the same counter top of our most popular island, the "BBQ". The smaller base design maximizes the counter space and minimizes the space needed to place it in your backyard. This attractive wrap around counter makes certain that you can seat up to 6 adults for conversation, cocktails, or to enjoy some of your favourite grilling creations!